Botox is the most common cosmetic proceedure in the world, followed by dermal fillers. Ten of millions of these proceedures are given every year. Anti-wrinkle treatments are a proven method by which we can achieve smoothing of the facial muscles. They have been used for over two decades successfully in the UK and the US. Please note that this page informs you how Botox works and what to expect from a Botox treatment. Prior to any administration a consultation is required to ensure that you are suitable. Botox is not always the most appropriate treatment for your concerns and this will all be discussed at the consultation stage. Botox is a prescription drug.  All the before and after Botox pictures above are of Botox treatments undertaken at the Skin Clinic by Sarah Parkes. The after photos are typically taken 2 weeks after the treatments. All treatments are reviewed 2 weeks after to ensure that the client is 100% satisfied. Botox has been used for a variety of medical conditions including blepharospasm and muscle spasticity for over 20 years. By using the treatment in the facial muscles and forehead wrinkles are prevented, as they are a direct results of contracting forehead, eye and mouth muscles. As Botox is a prescription drug it CANNOT be advertised in the same way as lip fillers for example. It cannot be mentioned on the front page of a website. Any mention of Botox has to be done in a balanced and factual way. This is why you will see this website regularly referring to anti wrinkle treatments. Please note that this page informs you of how Botox works and that prior to administration a consultation would be required with the doctor to determine suitability. This article discusses treatment options that will encompass the problems and specific areas of concern that you may have. As vertical lines just above the nose, often referred to as “the elevens”; or horizontal rows across the forehead. The “elevens”, or glabellar lines, result from squinting, scowling, worrying. The horizontal lines may result from normal animation while talking, or from holding the brows up with the primary muscle of the forehead (the frontalis) during times of stress, or just naturally. These lines are primarily the result of continual muscle contraction and can become very deep over time. Wearing sun glasses regularly in bright conditions can signicantly reduce the amount of frowning and squinting. Botox normally takes effect within 3 to 4 days days. Botox injections are not permanent, so we recommend repeat treatments at 3-5 monthly intervals to maintain the effects. 1) You should not lie down for 4 hours after botox injections. Otherwise you can engage in all of your usual activities immediately after the injections. You may develop slight bruising at the injection sites, but otherwise there will be no visible signs of the treatment. In rare cases, the botox can migrate to nearby muscles, causing some weakness, such as drooping of the upper eyelid. This is a temporary side effect, lasting for a few weeks at most. In the 1970s, scientists started using botulinum toxin to treat crossed eye patients. While testing this treatment on monkeys, researchers noticed that botulinum toxin reduced wrinkles in the glabella. The glabella is the skin between the eyebrows and above the nose. Botox today has many different uses including migraine treatment, urinary incontinence, cervial dystonia and primarily cosmetics. Any medication has potential risks, but the safety record for Botox is actually very good. If Botox was given in high enough doses it could be fatal. However the doses give for cosmetic purposes are small. There are a number of potential side effects of Botox includes bruising, allergic reaction, rashes, headaches, itching, drooping eyelid etc. This is why it is a prescription medicine and should be administered by someone qualified to do so.